Have you ever been to visit your parents or grandparents and had them ask if you could just show them how to do something on their phone or computer? It could be something that seems really simple to you, but to anyone who isn't that confident using tech, it can be a really daunting task. For some, waiting for a few weeks for their friends or family to visit to help them out with that simple tech task isn't a big deal. But others may not have the same access to support. That's why CommuniTech exists. We are a registered charity who try to provide a support network for anyone that needs a bit of extra guidance using technology, through Tech & Tea sessions. At each Tech & Tea event, we introduce a new topic through a Tech Talk, to raise awareness about the capabilities of technology. 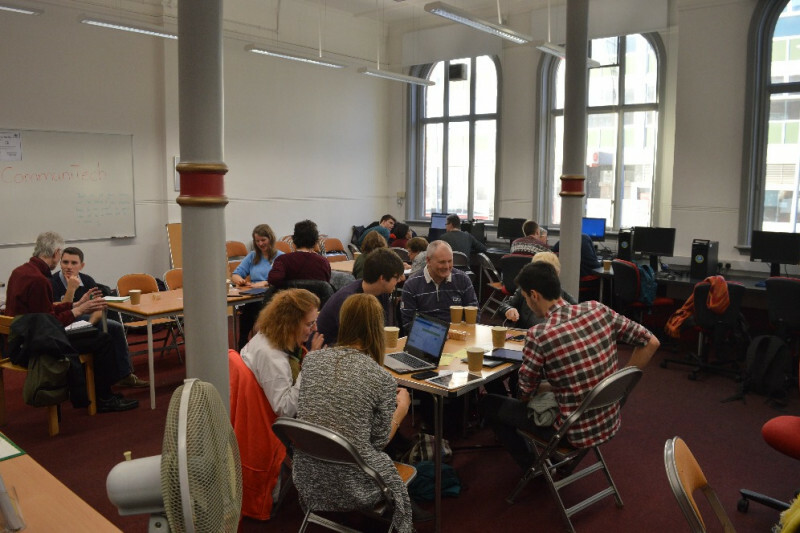 Then we run a workshop, aiming to provide 1:1 help for the specific tech issues that our attendees face. There's so many things online now, so not being confident with tech can have a huge impact on quality of life. We help people with everything, ranging from simply learning to use Skype to contact family members in faraway places, to giving support when completing online forms that may be required to receive necessary support. Your donations will allow us to continue running Tech & Tea events in Battersea library, where we've been running sessions since December 2016. They will also allow us to expand our network to make sure everyone has the tech support they need to live life to the full. I donate because I like this organisation and the work that they do. Thanks for the terrific IT support today.